Itonis, Inc., a market leader focused on the distribution of innovative products to the medical and pharmaceutical industries, announces its partnership with WebiMax, one of the most respected digital marketing agencies worldwide. We believe Emesyl is an effective medicine that will provide relief for many nausea sufferers, and are excited to have a marketing firm like WebiMax assist us in the branding, advertisement and promotion of the product. Itonis, Inc., a market leader focused on the distribution of innovative products to the medical and pharmaceutical industries, is excited to announce its partnership with WebiMax, an internationally renowned digital marketing agency. Itonis has partnered with WebiMax to help with the marketing and promotion of its new product, Emesyl, a revolutionary homeopathic medicine for the treatment of nausea and nausea-like symptoms. Nausea can arise from a wide range of causes, from motion sickness, food poisoning, and gastroenteritis, to mental illness, chemotherapy, and morning sickness in early pregnancy. No matter the cause, nausea is uncomfortable and can impede one's ability to perform the usual daily activities. Emesyl is a 100% homeopathic anti-nausea nasal spray that provides fast relief. It's the only anti-nausea medicine on the market in nasal form. By entering the nasal cavity, the delivery method of Emesyl provides a very effective route for administration, enabling fast-acting relief that is much quicker than taking a pill or tablet on an upset stomach. Emesyl is non-drowsy and non-habit forming. It has no known side effects and is available over-the-counter, without a prescription. The medicine is regulated by the U.S. Food and Drug Administration (FDA) and is sold over-the-counter in compliance with FDA laws, regulations, and guidelines. The Itonis, Inc. and WebiMax teams are excited to get started in their collaborative efforts to market Emesyl and maximize its visibility and sales. "We believe Emesyl is an effective medicine that will provide relief for many nausea sufferers, and are excited to have a marketing firm like WebiMax assist us in the branding, advertisement and promotion of the product," said Itonis Vice President Steve Pidliskey. "We are excited to be working with Itonis to promote their new product, Emesyl," said WebiMax Founder and CEO Ken Wisnefski. "With a strong team of marketers behind me, I am confident that our strategy and collaborative efforts with Itonis will allow Emesyl to achieve outstanding results and become a well-recognized name in the nausea relief market." Located in Laguna Hills, California and founded in 2005, Itonis, Inc. is a market leader specializing in the distribution of innovative products to the medical and pharmaceutical industries. Under the guidance of Dr. Charles Hensley, the inventor of Emesyl™ and the Zicam® Cold Remedy, the company is highly focused on bringing to market its first homeopathic anti-nausea product. 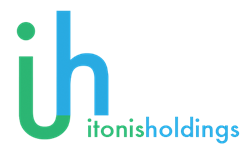 Itonis is also in the works to acquire a software license for MyECheck's patented mobile payment application, which is designed to facilitate point of purchase transactions for medical marijuana sales. This agreement will enable Itonis to become the first and only payment services solution targeting the medical marijuana industry in Southern California. Learn more by visiting ItonisHoldings.com and Emesyl.com.